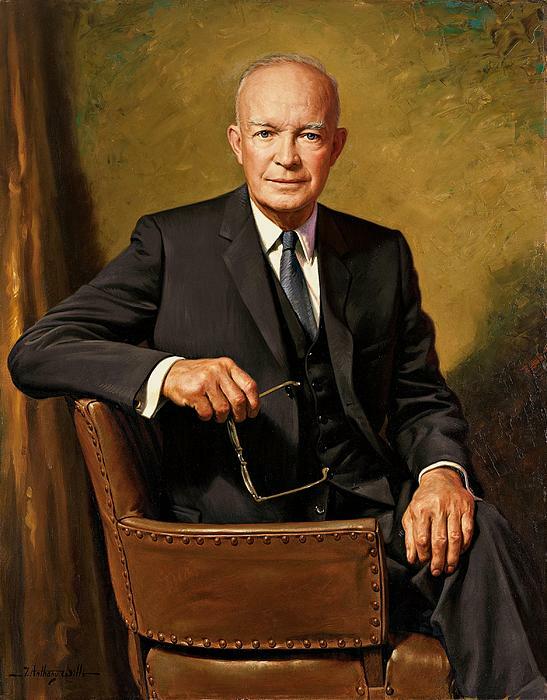 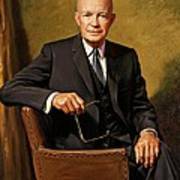 This painting is the official portrait of President Dwight D. Eisenhower. 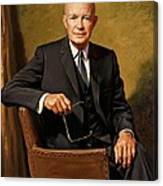 The artist, J. Anthony Wills from Houston, Texas painted 5 copies of the portrait. One of them hangs in the White House. The location of the other copies is unknown.